There isn’t much scope in the tech-field for a gadget to prevail for a long period of time because of the competitiveness these gadgets face. One prevails, stays at the top for a few months, gets trendy and then the hype surrounding it totally fades away in thin air. Similar is the case with the new entrant in the world’s leading iPhone franchise, the new iPhone 6S Plus which is now proving to be of an even greater competition to iPhone 6 S than the 6 S was to the contemporary iPhone 6. Arriving in the forever-sophisticated colours namely, Silver and Space Grey, this phone is definitely a level ahead or a peak above it’s predecessor, iPhone 6S. If you are thinking that the 6S had a magnanimous screen, then you would probably be left awestruck by the might of this phone i.e, 6S plus. Basically, imagine taking an iPhone 6S and stretching it from every corner until you get a 6S plus. That’s how dynamic this bigfoot gadget in the arena of tech domain is. Quite obviously, it even weighs more than it’s predecessor, actually way more. 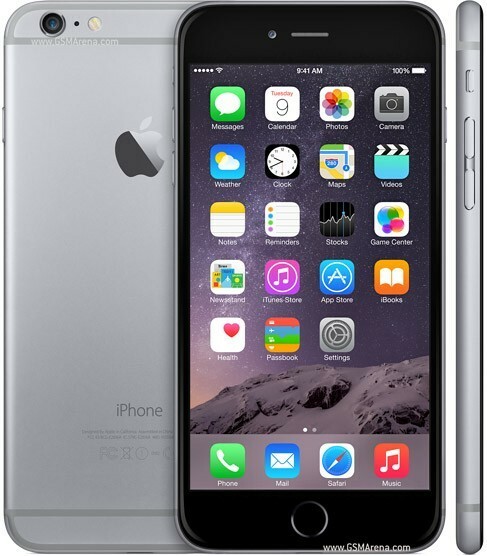 The iPhone 6S weighs at 129 grams where as the new 6S plus stands at 172 grams. That’s an increment of approximately 30 per cent. You would probably be able to understand it better once we get into the specifics. The screen in the 6S plus comes with a Retina HD display to the only difference being the screen size. The iPhone 6S had a 4.7 inch LED-backlit widescreen where as the latest iPhone 6S plus has a 5.5 inch LED-backlit widescreen. Also, the pixel resolution in iPhone 6S measured at 1334×750-pixel resolution at 326 ppi. On the other hand, the pixel resolution in the iPhone 6S plus is 1920×1080 full HD with 401 ppi. That’s how robust and how supreme the screen of 6S plus is, quality wise. Furthermore, both iPhone 6S and it’s successor, iPhone 6S plus have Fill sRGB standard as well as dual domain pixels for wide-angle viewing. The iPhone 6S plus has a benchmark design which has no competitor closing into beat it. There is a fingerprint-resistant coating on the front of the phone which is quite integral. Obviously, the iPhone 6S plus has heights and dimensions significantly higher than the adjacent 6S but if you go for overalls, the 6S plus definitely possess the paragon quality when it comes to design. The 6S plus is 6.22 inches long and 3.06 inches wide where as it’s predecessor competitors, the 6S was just 5.44 x 2.64 inches. Talking about the external buttons and connectors, the volume varying buttons on the left ensure easy one-hand usage. 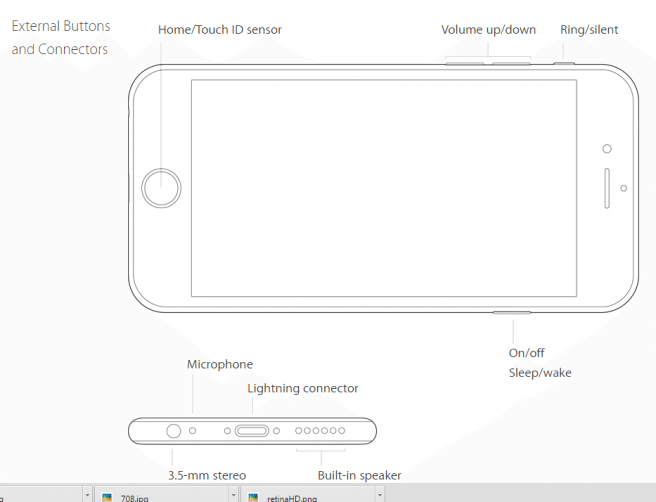 The home button features a Touch ID sensor which is complimented by a microphone, a lightning connector and a built-in speaker. This was all from the design segment. The core of the iPhone 6S plus contains chips from the A8 generation of the 64-bit architecture which is integrated with an M8 motion coprocessor. Comes with a built-in rechargeable lithium-ion battery and can be charged through the Universal Serial Bus to power adapter. Sensors, namely Touch ID, Barometer, 3-axis gyro, Accelerometer, Proximity Sensor and an ambient Light sensor occupy the internals. Featuring iOS 9, with an all new design and features in the most advanced form, thise phone would make you crave with the dynamic facilities such as AirDrop, AirPrint, Spotlight Search, Twitter Integration, Wallet and a lot more which it provides. 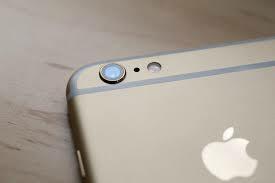 The new iPhone 6S plus contains an iSight Camera which is 8-MP with autofocus and f/2.2 aperture. Apart from that, it has a true tone flash and a Hybrid IR filter. The backside illumination sensor and auto image stabilisation above them all are very significant. An auto HDR for photos and a Panorama up to 43 MP is supported. 1080p HD video recording ranging from 30 to 60 fps can be recorded with a time-lapse video and with the additional functionality of cinematic video stabilization & continuous auto-focus video. The camera also has an improved face detection and video geo-tagging. The iPhone 6S plus outperforms its previous competitors when it comes to judging them on the basis of their wireless capabilities. The iPhone 6 S plus is compatible with 802.11a/b/g/n/ac Wi-Fi as well as the BT 4.2 wireless tech. NFC support provided. For location-based services, you can find assisted GPD and GLONASS, digital compass and iBeacon micro-location. In overalls, this is the real deal out there. With innumerable specs with wide-ranging usage and functionalities, if you have the investment, just invest them in these!